New tool will assist developers in implementing ISDA common domain model in solutions for trading and managing derivatives. 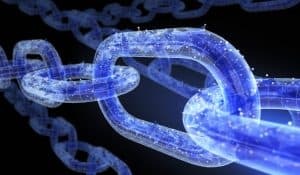 Distributed ledger technology (DLT) specialist Digital Asset is collaborating with ISDA, Wall Street’s derivatives trading body, to develop an open-source reference code to support adoption of the ISDA common domain model (CDM). The new tool will assist developers in implementing the CDM in solutions for trading and managing derivatives via Digital Asset’s smart contract language, DAML. The ISDA CDM is the first industry solution to tackle the absence of standards in how derivatives trade events and processes are represented. “Following our success at the Barclays DerivHack in London last year, we have been working closely with ISDA with the joint goal of standardising processes across the derivatives industry,” said Kelly Mathieson, head of enterprise solutions at Digital Asset. The new reference code library will support the implementation of the ISDA CDM by simplifying and standardising the process of generating lifecycle events defined in the ISDA CDM. To help drive adoption of the ISDA CDM, Digital Asset has also made the reference code library public under an open-source license.